From chart-topping lead singer and saxophonist of the Commodores to internationally renowned solo artist, American singer, songwriter and multi-instrumentalist Lionel Richie is one of the best-selling artists of this century, with over 100 million records sold worldwide throughout his five-decade career. 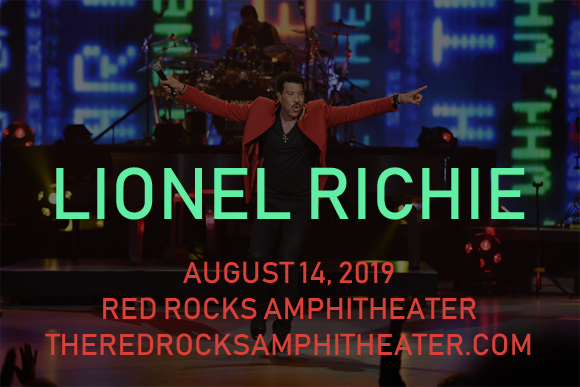 Since forming the Commodores in 1968, Richie has won four Grammy Awards, one Golden Globe Award and an Oscar, and has had a bevy of hits singles, both with the Commodores and solo, including: "Machine Gun," "Brick House," "Easy," "Three Times a Lady," "Still," "Sail On," "Truly", "Endless Love," "All Night Long (All Night)," "Hello," "Say You, Say Me," and "Dancing on the Ceiling". In 2016, he received the Songwriters Hall of Fame's highest honor, the Johnny Mercer Award.